Join CETA to support excellence in theatre education throughout the State of CA! Your tax deductible annual membership fee entitles you to register for teacher conferences & student festivals at member rates. Further, your membership supports our advocacy activities to ensure that all California students receive theatre arts education from highly-­- qualified theatre educators. 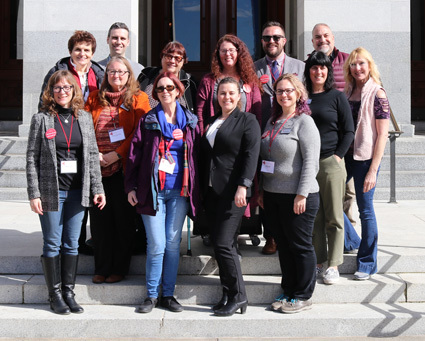 Becoming a CETA Member gives California Theatre Educators, Students & Professionals the tools & opportunities they need to participate & make a positive difference in Theatre Education. CALIFORNIA THEATRE EDUCATORS MESSAGE BOARD. RENEW YOUR DUES ONLINE, CLICK HERE !